Praying mantids make beautiful and fascinating pets. In their behavior and mannerisms, they remind me something of uncuddly cats - fastidiously clean, curious, and predatory. Unlike cats, you can't really pet them; however, you also don't have to clean any litter boxes! Cleaning a praying mantis's cage is easy and almost completely odorless, as long as you do it regularly. Although aloof by nature, praying mantises can also become tame enough over time to be handled. Although they are capable of moving with astonishing speed (and flying), their natural instinct is to lie in wait for prey, so I've been known to curl up with a mantis on my shirt and a book in my lap. IMPORTANT: Never keep more than one mantis per cage. Mantids are cannibalistic and will happily eat each other if given the opportunity. I kept my first mantis in a large glass jar with some cut-up old window screen as a lid, but mantises like their space, and my later mantises were much happier in plastic terrariums with screened lids,such as the one on the right. You can also buy special mantis habitats. If your mantis home will be stationary, fill the bottom with 1/2 inch or more dirt. 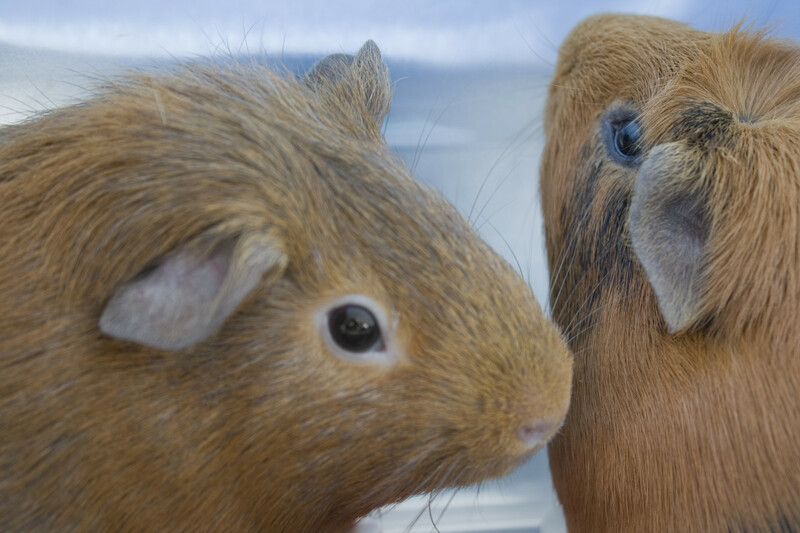 This will greatly reduce your maintenance, as you will not need to clean the cage as often. If you would like the cage to be portable, however, leave the floor bare. 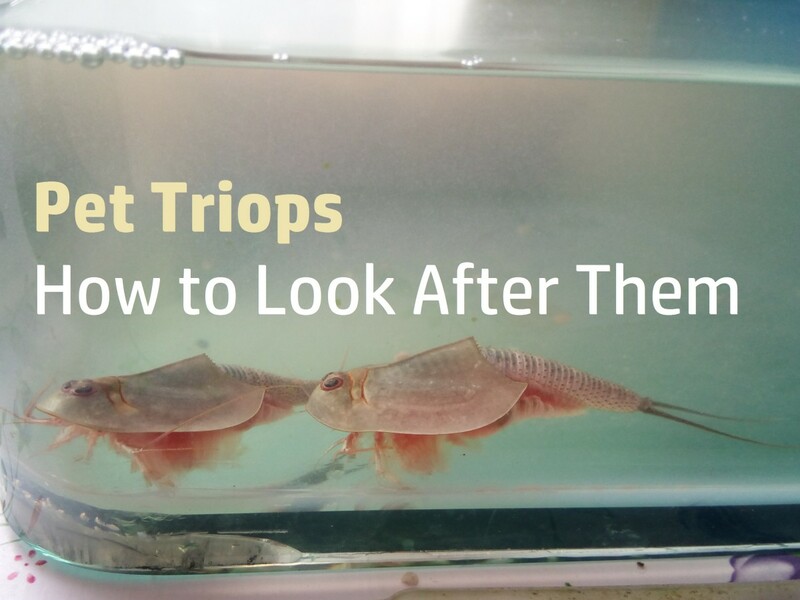 You will need to dump out the small, dry, pellet-like droppings and any discarded food particles, such as fly wings, every other day or so, and wash the cage thoroughly once a week or so. Just transfer the mantis to a jar or other smaller cage while you're cleaning. 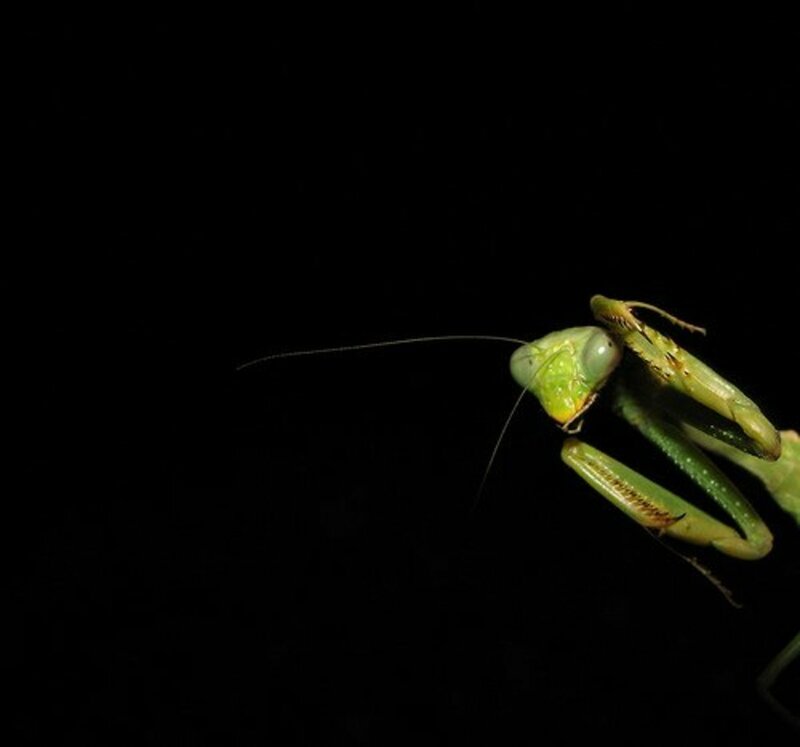 Mantids prefer to catch their own food. You can purchase crickets, mealworms, or other insects at many pet stores, but I preferred to catch flies and release them into the mantis's cage. This was made easy for me because my family had a) a compost pile and b) dogs with access to a fenced yard. Others may have to be more creative. Watching mantises stalk and catch their prey is great fun, but the squeamish should avoid watching them eat, since they eat their prey alive. After Muddy the Miracle Mantis fell, his legs dried twisted and deformed. Although he could still grasp with surprising (painful!) force with his front legs, he could not catch anything himself. Although he never accepted pre-killed insects, he ate wet cat food with great enthusiasm from a spoon, and seemed to thrive on it. He got water the same way. Muddy survived well into November, long after wild mantises had died. 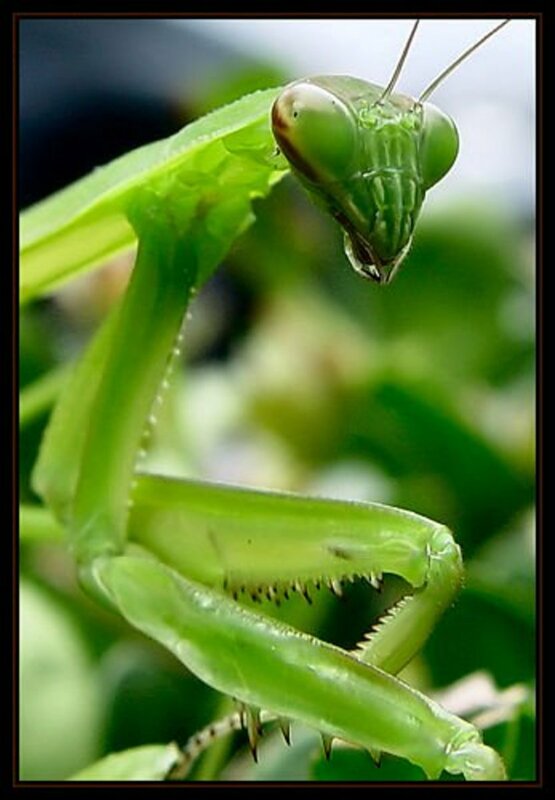 Healthy mantids can also be trained to eat and drink from a spoon. Approach slowly at first, so you don't startle the mantis, and brush the meat or water gently against its mouth. It may scuttle away the first few times, but will eventually get the picture. When it settles down to eat or drink, you will be able to see its powerful mandibles shovelling food or water into its mouth. In my experience, mantids prefer ground cat foods, rather than chunk style, but will eat both. Photo by jenn_jenn. The upward curve to this mantis's body suggests that he is nervous. They clean themselves as thoroughly and as frequently as cats, too, and often appear to enjoy people-watching as much as people enjoy watching them. My class is hatching a praying mantis egg. Are there any good names you know of? Do I need to leave a light on at night for a preying mantis or is it in the dark ? My mantis won’t or can’t use it legs so will it bye or what? hi~ my pet mantis looks weak and developed black spots over the back of its thorax and abdomen. Can anyone tell me what's wrong with it? is it dying? Hey, Would it be ok to use miracle gro soil in my mantids terrarium or would you recommend natural stuff like organic soil. I had a flower garden this summer and I noticed this pray mantis many times. I would talk to it all the time. I live on the east coast, Philadelphia and it was starting to get cold about a month ago. We had ripped all the flowers out of the garden getting ready for winter. I noticed the mantis sitting on my garden hose and I knew she'd died if I didn't take her inside, so I went to the pet store and bought a terrarium. I 've had her for like 3 weeks now, bought her crickets and tried feeding her chicken cat food, but she doesn't seem to be eating it. I don't know what else to do... anybody have any suggestions? Hi my mantis just molted into final stage, she got stuck in her front leg so i decided to help her out, (being very carefull) watered her down and all, and finally she got free. Now she is lying on the ground with her face into it aswell, she is still moving if desturbed but otherwise just lying there, is she okay or is it time for the freezer ? My husband caught an adult Chinese Mantis and brought her home for me a few weeks ago, this morning she went bat crap crazy attacking the air, dirt, branches and leaves in her terrarium... I couldn't get near her to get her out and after 4 hrs of freaking out she fell from a perch and lost one of her far rear legs. This was about 2 hrs ago. She is now hanging out at/in her water dish, alternating between laying down in the water and then resting on the twigs in the water. I have moved her out of the dish but she keeps returning to it. She appears to be trying to stalk crickets but is not having any luck, i have tried to feed her using tweezers but shes not having any of it. Any ideas? Nothing has changed in her tank and I cant think of anything that would have caused the behavior that lead to her injury. i m 11 and i just got 4 baby mantises. what do i feed them? i cant get fruit flies for about 2 days? do u think they will live that long without food? i have a cage and i m thinking about catching little bugs for them to eat. is that a good idea? how do you tell a male from a female? my four year old daughter just rescued a praying mantis for a spider. it looks to be male and she named him Geeka. he is her little alien bug. he is a bit on the tiny side but seems really healthy and alert. he seems to be about two inches. I have been watering him via a spray bottle ( have to do the same for my frogs). i have to say i am quite taken by the little guy. My dog caught and injured a praying mantis today. All but one of it's legs are gone on one side of it's body. I built a habitat for it and am going to try to take care of it since I know it wont be able to survive in the wild. Do you have any more advise for caring for a disabled praying mantis? I found a praying mantis and took him in 11 days ago. Over the last few days she lost interest in food and appeared to be going through molting while hanging upside down from a branch. This morning I found that she had fallen and was about 2/3 the way out of his skin. Now she's bent over in an awkward position like his abdomen hurts laying on his side. Barely any movement or motivation from her. Just laying there on her side curled up. She's not dead because if I touch her she kicks back in a small fit. What should I do? Is she going to die? Is their anything I can do to help her? That was cool facts about prayn mantist caes I have one to! Hi, I just caught a small pray mantis yesterday, does it eat meat like raw beef or chicken? I am not very good at catching insects so I am trying ti find an alternative. Interesting! I only occasionally will find praying Mantis's. I live in the woods and my brother, sister and I care for and rescue any species of bugs. We occasionally will treat bugs that we find stuck in spider webs. We have our own little "nature center" behind our house. I would love to find a praying mantis! i now ABSOLUTELY LOVE praying mantis's!!! they are my favorite type of pet EVER!! i am really wanting to hatch some mantis eggs we have a ton around our house me and my brother caught 2 today and are waiting for them to hatch! Ronny&brook, i am 12 years old and am currently caring for an aging mantis....and about your mantis, she is probably either going to molt or lay her eggs! My mantis has been acting sick and tired for the past few days, and now she laid her egg. Otherwise, she may be crippled, in which case she will live fine, but needs to be fed with cat food, meat, etc. I LOVE mantids!!!! I bought mine (also my first one) from my BFF's younger brother. She has laid 3 oothecae (egg sacs) and loves "rainbow mealworms". She eats them like corn on the cob. Her name is Tonks, and for unknown reasons she will attack the screen whenever she hears Tobuscus voice coming from it O.O. SHe also attacks my shimeji of the Naruto character Tobi. Maybe she's biased against people named Toby? My boyfriend and I just bought a female mantis. Her name is Manson, but we're a little worried about her. We are not sure if she is just getting ready to molt, or if she is dying :( She has trouble keeping herself off of the ground when she walks, so she basically drags herself around. I have tried to feed her crickets and tiny fish, but she is afraid to hunt (i guess?). She runs away from her prey. I have tried to feed her cat food, and she does eat it, but she does not eat much and she only eats every day and a half (is that enough??). She usually finds a spot and hangs there for almost 24 hours.... We are just worried about her because we obviously do not want her to die, otherwise we would not have bought her. I was just wondering if you knew what was wrong with her. We found 3 egg cases last fall and had no clue what had laid them. Until this spring, when the first one hatched, followed closely by the other 2. I had baby mantises all over my back yard, and into the side yard and ultimately, in the front yard. Watched as as least 6, maybe 8, made it to maturity, and captured pictures of 2 mating pairs. We've spotted, to date, 2 egg cases, from a female that we didn't even know that was in the yard, so maybe the survival rate was even higher than initially thought. About a month ago a Chinese mantis moved in to my patio garden, followed by another one just a week ago. I noticed the number of smaller mantises diminishing, and suspected the larger ones of being predators. This was confirmed yesterday when the one of the Chinese mantises was seen munching on a much smaller female mantis. The big mantis did not bite off her head until it had bitten off the front legs and munched a bit at her shoulders. Then it bit off the head and consumed her completely. I was very upset at the big mantis, knowing that the female had mated just a few days earlier, and we had not yet seen an egg casing...And it may be that she was eaten before she could lay her eggs. This female even accepted 2 crickets from my hand the day she mated, so I was watching her with great interest. I can only hope she laid her eggs before becoming supper for the Chinese mantis. Now to see if the 2 Chinese mantises are a pair, or the same gender. In some ways I hope same gender so that any egg cases laid by the others will have a chance to populate my yard next summer. If the Chinese mantises are male/female, I probably won't have any smaller mantises make it to adulthood next year. I found a praying mantis on my way home from school. I just love him. I set him up a cage full of growing grass and dirt and i'm going to feed him soon. I will feed him crickets. His name is Lucky and I love him. I will care for him and give him a life greater than the wild. When I found him kids were taunting him. BRATS!!! I will train Lucky to love me and do tricks. Ohhh, Lucky. How I love you, and am glad I found you!!! When you have a female praying mantis, do you need a male to fertilize the eggs? i love bugs, once i got a pet butterflys, and lady bugs. but then i bot them, i got this one foum the wild!!!!! and i alwas wonted to see a web site like this. my mom's web site is first harlds go and see it it's cool!!!!!!!!! My praying mantis won't eat, move or do anything I know it isn't dead though because it ocasinally waves it's claws around. It looks so cool is it a bad sighn if a praying mantis wont move or good?!?!?!?!?! But how often did you give your mantis food? Everyday? Everyother? Once a week? I got my egg sack, thanks for your help, do you have any names for them? these are soooooo cute and I don't under stand why they would bite. i've read every comment and it dont make sense! Hi there ....help there is a big beautiful mantis right outside our door...normally I wouldn't even think about taking Irvine the house......ick bugs! Lol but hurricane Irene is only hours away and well I don't want this guto hey blown away.... My kissbwould live to watch him... What should I do? Is it normal for a praying mantis to puke??? ME WANT PEANUT BUTTER NOW! I just loooove praying mantises there awsome!!! I we dont have any praying mantises where we live, I hope I will get one (if my mom lets me:p ). i love the spikes on there front arms! hee hee! But do they actualy bite you? It sounds so harsh because there so friendly! hi nikki. we have one of those habitats also. it's from insectlore. anyway, when our sac hatched there must have been at least 100 babies. very tiny and cute. they didn't really want food for a few days but they need water. just a spritzing around the habitat so they don't drown. we still have one that i kept and i've become so attached to her. my kids think i'm nuts but i actually have to feed her from a pair of tweezers because her forearms got stuck when she molted and they're completely deformed now. so so sad. have fun though! For my brother's birthday, our aunt ordered him a Chinese Praying Mantis egg sac. It came with a little habitat, care instructions and everything. We were planning on keeping about 4 or five (in separate habitats, of course) and releasing the rest into our backyard once they hatched. The only problem is that they haven't hatched yet! I've read they're supposed to hatch anywhere from 1 to 4 weeks, and earlier if kept in a constant, warm climate. Our house sustains a constant temp. of around 70 degrees F.
It's been about 2 and a half weeks since the eggs came in the mail, and it still shows no signs of hatching any time soon. I was wondering if there was any way of knowing if it's a dud or not, or any way of triggering the eggs to hatch sooner? I've read that they don't tend to hatch until there is enough food around, so we were thinking that maybe if we had a fly or two in the habitat buzzing around, if that would trigger them to hatch? A mantis called one of my porch plants home last summer. That plant spends Kansas winters in our basement workroom. Baby mantises hatched in November. I put seven in pint fruit jars/habitats and fed them flightless fruit flies. I misted the jars and fed several times a day. Four died trying to molt, but three lived through many molts. They went into two-quart rubbermaid jars, and now are in see-through storage tubs that have screen tops and vented sides (thanks to my husband). They have wings and have gone from the one centimeter hatchlings to being five inches in length. This has been a very work intensive experience, but so much fun. They are very tame. They want to be out of their cages as often as possible. I have pictures of them and a video of one flying around their room. When one is lose, if someone walks into the room, it begins to wave its front legs, begging to crawl onto you. 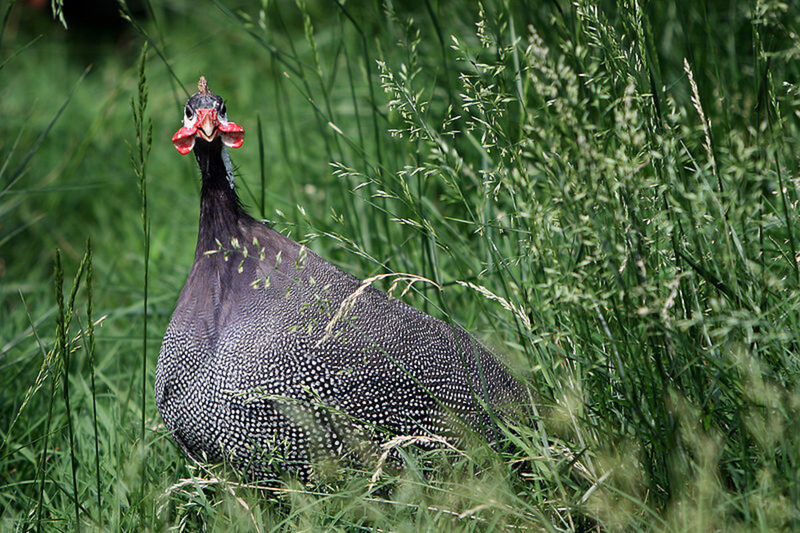 I would love to turn them loose outside, as keeping a wild thing caged makes me sad, but they would never have survived the Kansas winter, and they wouldn't have hatched in November if "MOM" had known I carried that plant inside!!! Anyway, I have learned a lot about them. They are fascinating. Is there a way I could post my pictures or video on this site? Very cool. I would love to raise some mantids! Great photos! Is compost ok as bedding for a mantis? thats really awsome and i got my own 1 to. im wondoring what thay need to be in. I found a praying mantis at front of our house, this morning i saw him hanging from the meter box, i thought what is wrong, then realized a spider was on top and spinning a web!! My husband scared the spider away, and untangled the praying mantis, he was alive, but will he be o.k after that? we put him in a pot plant, he was laying down at first but breathing and moving his legs occasionally, now we put him on a branch. his front legs aren't moving though. Hope he will be o.k. would he be able to find food still and eat o.k? Wow, I never heard of having a mantis as a pet. Fascinating! I once had a Christmas tree infested with them. My children had a blast catching and setting them free but never asked to keep one - not surprised after all that work though. I've have a mantis who moved into my apartment to live on a Ficus tree. 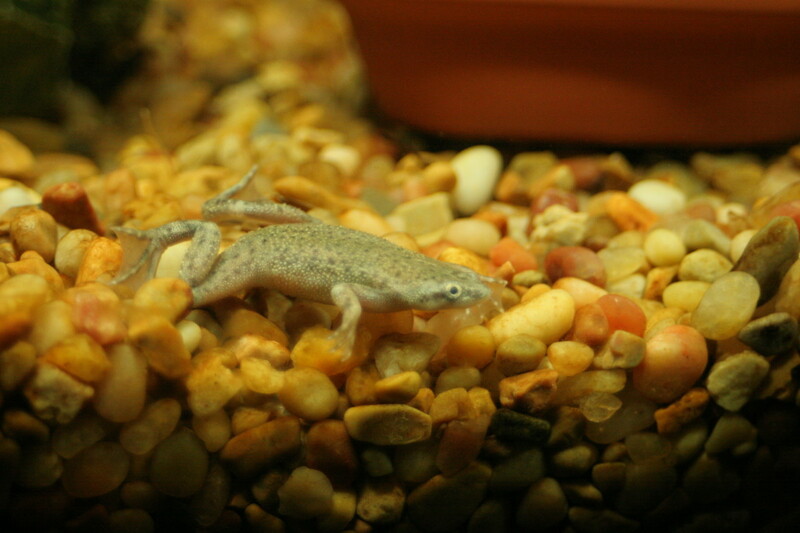 He has been here for 4 months and happily survives on a diet of one live cricket every other day from the pet store. He is very tame and will gladly sit on my arm for hours at a time while I go about my business. I was scared of him at first, but now I realize praying mantises make great pets. I heard that your not suppose to touch praying mantids with your fingers because your oils could make them sick and kill them. so i've been very careful to only use the tweezers to feed him.. is this a fact or myth? Mantids are beautiful animals and this is one of the most original and interesting hubs I have ever read. I had a praying mantis obsession when I was a teenager and this would have been an awesome article for me in those days. I like your use of pics, though I would have preferred original photos or video clips of your own mantids. Perhaps you could invest in a camera and throw some video clips onto Youtube for added media content. would any body be willing to give up a male and a female prating mantis that aren't related so i can breed them? I have a male praying mantis that i caught. 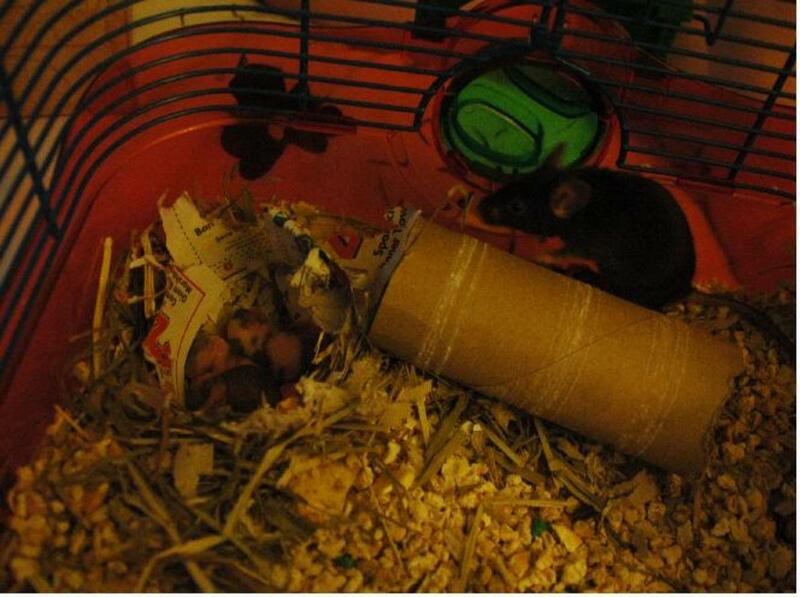 it just layed this thing in the cage and im not sure if its poop eggs or skin! I was on my way back from the airport after a week on holiday at niagra fallsand when I was on the bus I found a very large praying mantis it was a peachy colour and was very tame. It was a very intresting animal comparing to the wild life back home and it was very fun to watch as its eyes followed my hand across. Is it posable to find any breeders in the Area of Stoke? A site wont do as my parents wont let me order any off the internet. I need to find a pet shop were you can walk in and pick it out of a selection. My girlfriend and I noticed the other night, that we had a new addition to our home. A medium sized male, had wandered in through the window. We both like mantids, so we decided to let him stay and even gave him a name. We just let him wander the house, as we don't have any children or pets. He disappears around 7am, and we can't find him, but, he always reappears like clockwork around 8pm every night. This though, does concern me. There certainly is no lack of flies and fruit flies around here, and they always seem to be getting into the house. We always see him grooming himself, which to me, says he may have just eaten, but I am still concerned about his intake, give them size of the house. We are new observers of the preying mantis. We have one living on our second story apartment porch. We have a very large tomato plant and he/she patrols it for us. We also have about six quarter size spiders making webs and catching bugs living on the porch. Should we be concerned for the mantis? Can he/she get caught in their webs? Should I clean the webs out so there is less competition for the mantis? Thanks ahead of time for any answers. Something similar happened to Muddy, one of my mantises, as I mentioned in the article above. He fell while molting and lost the ability to catch his own food because his front legs couldn't "pray" anymore, so I spoonfed him once or twice daily on canned cat food. He seemed to thrive on it and actually lived for a month or more longer than he would have in the wild! He also took his water from a spoon. Last week I caught a mantis, apparently male - judging from the size and color of it. I fed it regularly (maybe even too much) and it was doing ok. Yesterday it completed a molting process which I did not expect to see, so I was unprepared - it didn't really have the space it would need and the stick wasn't too good I guess...I didn't know what was going on, I was shocked at first so I picked it up, it fell and couldn't get up. I assumed it's tired and needs to harden, but it's been 24 hours now, it is better but one antennae is twisted, the wings are folding in weird ways and it doesn't "pray". Should I be worried or is this normal and will it get better? I have a new mantis girl, she's just wonderful. She caught my eye in an airport parking lot- her almost white colour stood out a lot at night. She's settling in well to captivity. I just adore the almost white colour- it's a transluscent off-white (not a soft shed skin, but literally just her colour)and when I caught her her eyes were blue-grey, but now they are clear and you can see the striping. I will warn everyone though- the spikes are beastly. I had a mantis once who refused to be captive, but if you made him mad he slammed his claws into you until your hand bled. He ended up being more of a friend than a pet, and he lived on my porch in the plants until he died a death of old age. He was blind in one eye, and he got into a lot of fights. He managed to kill a black widow when she wasn't looking, I don't know how he did it but I think that's what made his eye how it was. Silly little violent Syrius. 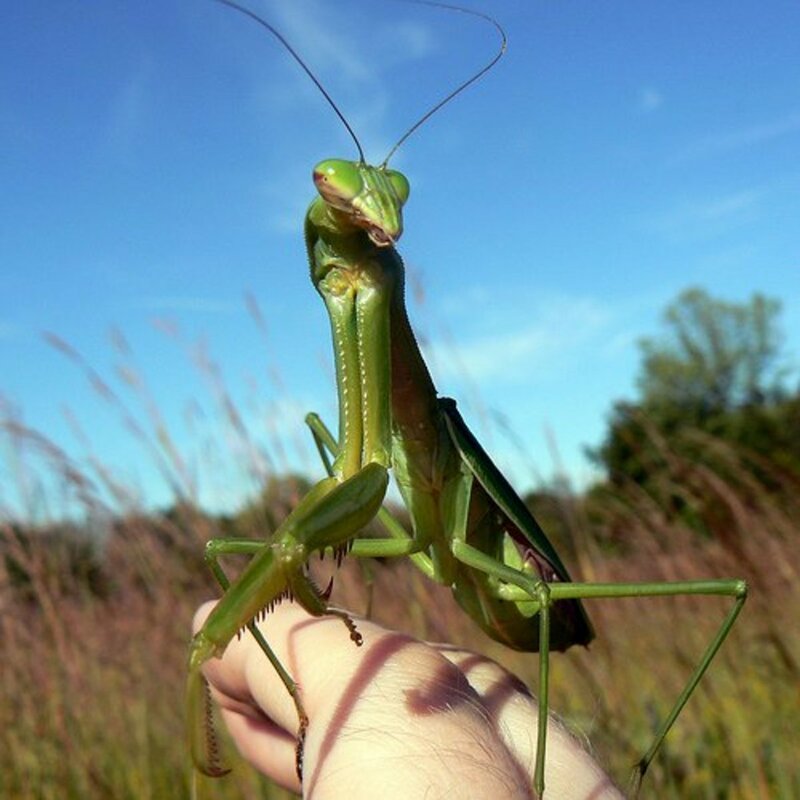 FOR 18 YEARS I HAVE KEPT THE MANTIS AS PETS.THEY ARE LIKE A CAT,PARAKEET AND E.T ALL ROLLED INTO ONE.I HAVE ONE NOW AND SHE IS FREE TO FLY AROUND IN MY HOUSE UNTIL FEEDING TIME.I USED TO HAVE ONE THAT WOULD EAT A SMALL PIECE OF CORNDOG WHILE HOLDING THE STICK! !THEY ARE A JOY TO WATCH,PHOTOGRAPH AND STUDY! My mantis shed the other day, now there's a mysterious brown liquid, I'm wondering if you would know what the liquid was? I was raised in New York City and believe in or not, I had a pet praying mantis when I was about 8 years old. I kept him in a 5 gallon glass tank and fed him insects I found outside. Way cool! Sounds you actually caught a female who was just done with her final egg sack. Praying Mantises are quite ferocious and a few ants would not have been able to "take" a healthy Mantis. Females die very soon after their final egg sack. So what you did was take in an old gal, gave her a final drink of water, and gave her a noble place to pass on. Thank you for that. I live in Palm Springs, Ca. Every Spring I find baby Mantids, and bring the friendliest of the bunch into my house and show them the Ficus tree in my living room. The "get it" very quick when I come home with crickets. Using vert long tweezers I offer them the crickets and none have been refused. I have been doing this for as many years as I can remember. I NEVER confine them. When they leave the tree, it's usually to find me and see what I am doing. Most have enjoyed sitting atop the computer monitor to get a little warmth, then it's back to the tree. 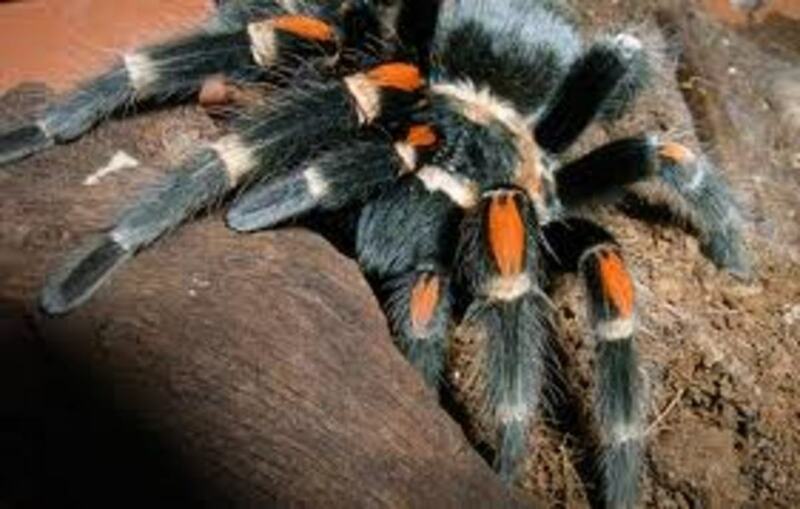 I had one particular female, whom I got as a juvenile, who was with me for nearly 3 years. She was able to get that age because she never mated, nor seemed to look for man. She was perfectly happy to stay in her tree. Everyone who ever enters my home knows my little green baby is there and has great respet to watch where they walk. Most of my Mantids learned to take live crickets right from my fingers. I have great respect for these wonderful little angels. BTW, I have never experienced a single bite or sign of aggression from ANY of my Mantids. Hmmm, I have a mantis that has been stalking me on my front porch for weeks now, I never thought about having one for a pet! Interesting hub, thank you. I live in the UK too and I am currently keeping a Giant Indian Mantis. Apparently many Mantises are fine at room temperature 22 - 30 degrees especially for large 'beginner' Mantids (like Giant Indian, Giant African and Chinese varieties). More specialised species like Orchid or Wondering Violin Mantises will require extra heat. For further info about which is the right Mantis for you and care advice exotic-pets.co.uk is a great reference point! However with all this very cold weather we're having here, a little extra heat might not go amiss anyway! good info guys, Im thinking about getting one soon, and like Bob I live in the UK and was wondering if I would need to use a heat mat for it or would it be OK? Just found a hugely pregnant mantis outside 3 days ago. She ate five crickets while laying her eggs; since then she's settled down to maybe two crickets per day. She's also eating tinned cat food (ProPlan), raw chicken, and sipping water from leaves. I haven't even had to confine her. I just set her on an indoor plant and she basks all day so long as she's well-fed. 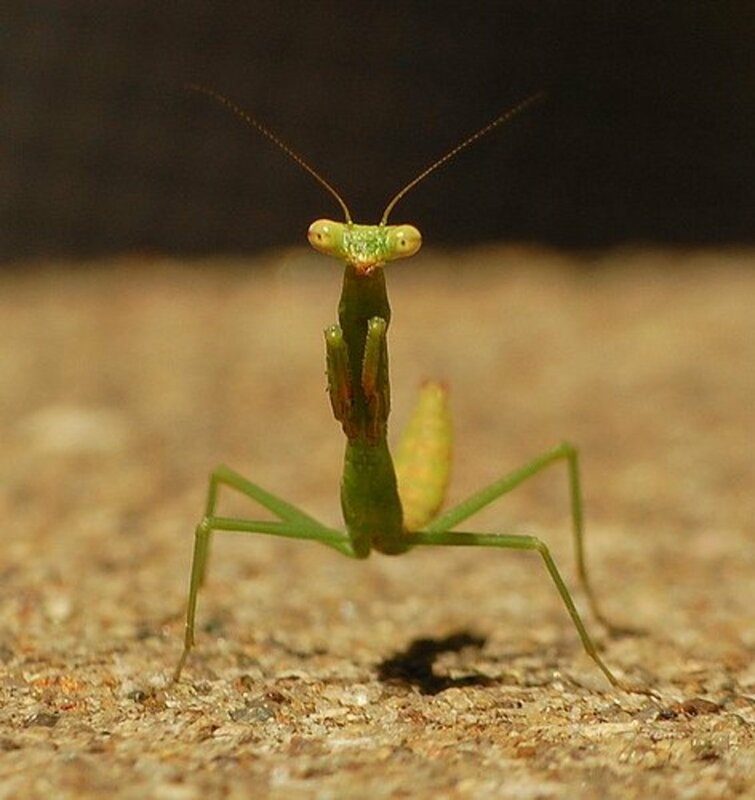 I just put Rex my mantis on a tupperware withlots of leaves and feed him everyday with inscets i can catch and let him drink water using cotton soaked with water.But theres somethin not right when i free him he follows me by climbing quickly in my pants i think mantises are like dogs. Really helpful, thanks. Not only is it a really great "how to", you also make them seem quite appealing and give a sense that they have personalities. Not sure if I'm ready for one quite yet though! I just capture my first mantis and it is rather fascinating. 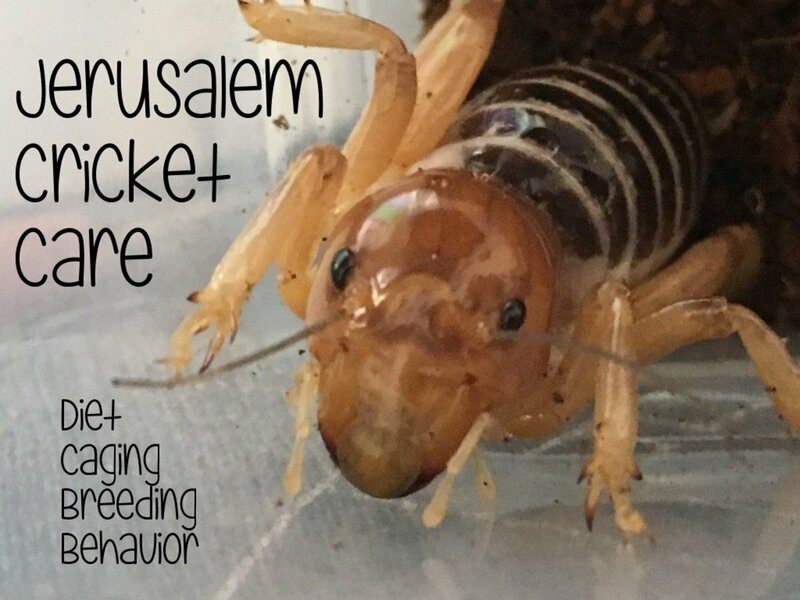 I purchase live crickets for it and my son and godson loves seeing it capture its prey and feast on it. I have to clean out the cage this weekend and I'm a little nervous about taking it out of its cage. I do have a little cage for it to enjoy while I'm hard at work clean it's home. What type of cat food do anyone suggest. How much water should I have in the cage for it? interesting. i have a praying mantis named Bob. he has a big cage. Never thought of taking mantis as pet. Come to think about it I'm not thinking about it even now. 15 minutes later, the mantis walked over to the water (not enough to drown in) and flopped down. This morning it was dead and the ants were having a field day. It might have been that it went to sleep because of having food and water and the ants got it then, but thinking more about it, the dramatic change from the way it was standing before I fed it leads me to believe that this was the cause. I wonder if it was because it was sardines...? What flavor do you use? Can you use dog food too? Just found and captured my second Mantis. Wow. So fun. Unfortunately, I didn't know anything about it and was super busy, so I didn't have a chance to feed/water it. I thought it was like other insects and could go a couple of weeks between feedings. I have no insects and the lone jumping spider I found in my apartment is just a bit too fast for a weak mantis, so I suspect that the Friskies cat food saved his life. Thanks from both of us! He really likes sardines! I can hardly wait to try this. I love the unusual. Great piece! Oh My! You are bringing back childhood memories! As young girl I tried to keep a praying manitis in my room as a pet. I tried to put it on a leash of thread but that didn't work too well. I rmember my parents used to order the egg sacks via mail and we would place them all over. They were grat for keeping away other bugs! I simply love mantises. Last year I found a stick in the winter and it appeared to have a nice cocoon attached. I took it into my office and one day in the spring I glanced over and there were about 15 bitty green preying mantises on my wall. I hustled the cocoon outside but let the matises climb into my plants Eventually I took them outside too so they could grow up and find soeone else to eat - those two that were left.